Picture of my eldest daughter. Starts with W. I believe these white paper snowflakes do the job nicely. I work in a behavioral center where many older residents have alzheimer's Terrible disease steals their memory and yet they still tell the same old stories. Depends on who they are from always desire more hugs from the little ones in my life but a compliment can take one a long way as well. In a large covered pot, steam asparagus 3 to 4 minutes, or until tender but still bright green. Remove from the pot and arrange in a single layer in a 9x13 inch pan. In a medium bowl, mix together sour cream, horseradish, and garlic salt; spoon over asparagus. 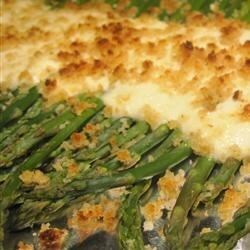 In a small bowl, stir together the melted butter and bread crumbs; sprinkle over the asparagus. Preheat the oven's broiler and adjust the oven rack so that it is about 3 inches from the heat source. Broil asparagus 1 to 2 minutes, until the topping is toasted, taking care to watch closely to prevent over browning. sharing this six word phrase with the good folks at the blog Show My Face. You can head over and share your phrase as well. When I was a kid I spent hours playing games with my sisters. It was very fun and memorable as well. There were board games, puzzles and card games. One of the games that we played a lot was Old Maid, no one wanted to be her and we all played hard so we weren't. A victorian card game where up to eight but at least two players vied not to be Old Maid. It was derived from an ancient gambling game where the loser pays for the drinks. The game is boasted on the theme of bluffing. 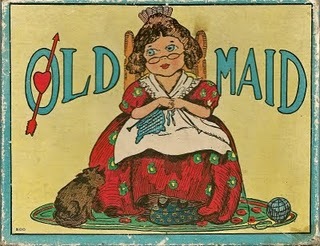 Most games of Old Maid are played with a card deck specifically crafted for playing the game of Old Maid. You can play with a regular deck of 52 cards as well. Simply add or remove a card so that there is one that will not match. Adding a joker to the deck works the best. The joker is then the old maid and whoever has it at the loses the game. dealer deals all the cards to the players. It does not matter if players has more than the other as long as all the cards are dealt. Any pairs that the players are holding are discarded face up. Starting with the dealer each player will take turns offering his or her hand face down to the person on his or her left. The player offered selects a card and makes a pair if possible. The game continues to all players. Players can shuffle their hands before offering it to the next player choosing the card. The game continues until all the pairs are made and one person is left with the old maid and loses. Once again we find ourselves in the potty training game. This time with my youngest grandson and the game has just begun. If you all have every potty trained a child then you know it can be quite hard to do at times. The best thing to do is to watch for the signs of being ready. staying dry for an hour or so at a time and not wetting during nap time your child is ready to start potty training. A child before the age of 2 often goes quite often and has the inability to hold their pee. Every year on the first Saturday in June the prairies of North America are given a bit of attention. The prairies have been blessed with one of the richest ecosystems on the face of the earth that is quickly disappearing. Prairies are pleasant in North America with a large flat grassland running from the Canadian provinces of Alberta, Manitoba and Saskatchewan down to Texas. Wild life is abundant on the prairie. 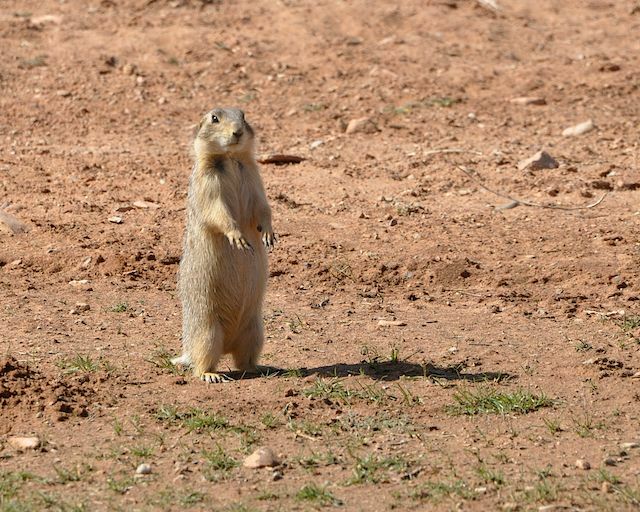 Prairie dogs, prairie chickens, buffalo, bison, elk, deer, rabbits, hawks and foxes are all present. The prairie offers plantings year round to help feed, shelter and create nesting materials for the habitat. The prairies has changed over the years. The 170 million acres has been reduced in the last 150 years to 1 percent of habitat. The species that once thrived in the fertile soil have now been planted with crops of wheat, sorghum , flax , rye and oats. The loss of this ecosystem is contributing to extinction of native birds, pollinators, insects and wildlife. The prairie that once served as a living ecological and native American cultural research station has changed. National Prairie Day is a chance to educate the public on the preservation, conservation and restoration of the land. The history, wildlife and habitats of the prairie are all disappearing. 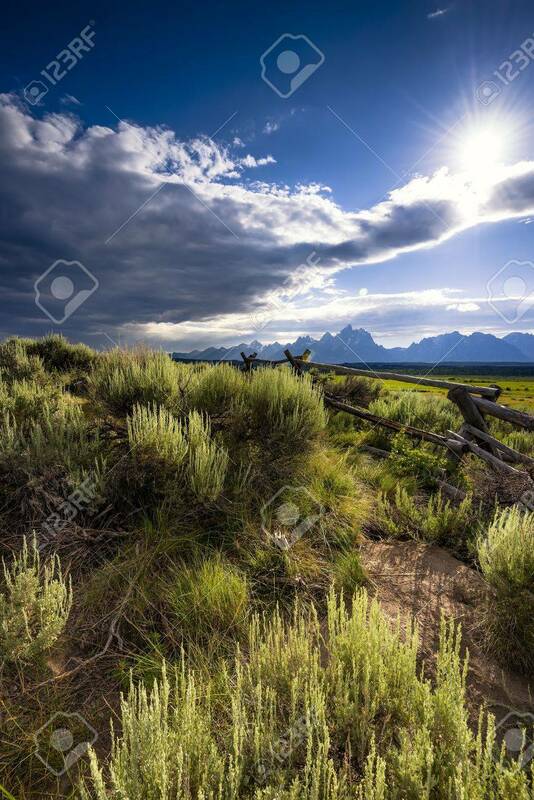 The prairie is breathtaking when in its peaceful place with its natural beauty. The grasslands that were once present have been replaced with the "amber waves of grain". Art work from Harvey Dunn in South Dakota, poetry from Walt Whitman and books from Laura Ingalls Wilder all demonstrated the beauty of life in the prairie. One thing that you most likely will have on the list is an ice chest. A great tip is to pre-chill the chest before loading it up with food and drinks. Fresh block ice is best to use if possible as it will last longer. Only chilled and frozen foods are kept in the chest. So who will all be on the camping trip? One thing that works for us is to take a backpack for each member of the camping party. Pack in the backpack all needed items from clothes, shoes, towels, and bathing items. Life will be much easier. There will be camping gear that may come in small pieces. Plastic totes are great to store any camping gear. At the camp site one idea is to use the plastic totes for storing shoes and anything that otherwise would be outside the tent. Heavy dew and possible rain showers may happen getting all that is not covered wet. Bring along a tarp to cover the ground prior to putting your tent up. This will protect the bottom of your tent from wear and tear. Keep the tent zipped during day when not using it this will keep those pest and insects out. Sleeping bags are great to take along. Early morning and late nights out in the open are normally a bit cool. Unzip the bags so they can air out when not in use. Beall Woods is located on the banks of the Wabash River. Visitors from around the world travel to the area to see the beautiful virginia timbers. Beal Woods are perfect for relaxing, camping, picnicking and fishing and don't forget hiking With five self guided trails totaling nearly 10 miles gives you a hiking experience to remember. Tulip Tree Trail is created from chipped surface so that those in wheelchairs also can enjoy the trail that is about 1.5 mile long as well. The trail also offers cassette tape noting 10 points of interest to help those who are visually impaired. White Oak and Sweet gum trails are great for beginners. Schneck and Ridgeway trails are for more advanced hikers. Among the trails take note of the woodpeckers, trees that reach 120 feet tall and 3 feet in diameter, deer, opossum and skunks. Fall is beautiful in these woods and normally occurs the second or third week in October. 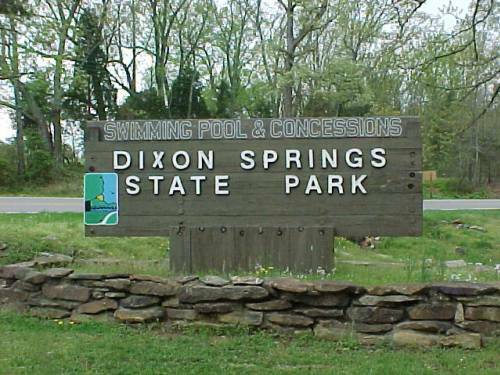 Dixon Springs State Park is located in the Illinois Shawnee Hills as well. The park is built on a giant block of rock. The park is 801 acres long in Pope County Illinois. The area around the park was where many tribes of Algonquins lived after the Shawnee had been driven from Tennessee. The park gained its name after William Dixon first white settlers to build a home in this section who built a school in 1848. Dixon Springs would have a general store, post office, blacksmith shop, grist mill and several churches. It was also a health spa where hundreds would travel to the seven springs of mineral enriched water. The park is one of our favorites to visit. There is a swimming pool, bathhouse, and 45 foot water slide. The towering oaks, elms and birch trees shade the pool and makes it an enjoyable place to visit. There are also three shaded picnic areas that include picnic tables and outdoor stoves. Two picnic shelters, playgrounds, drinking water is available as well. 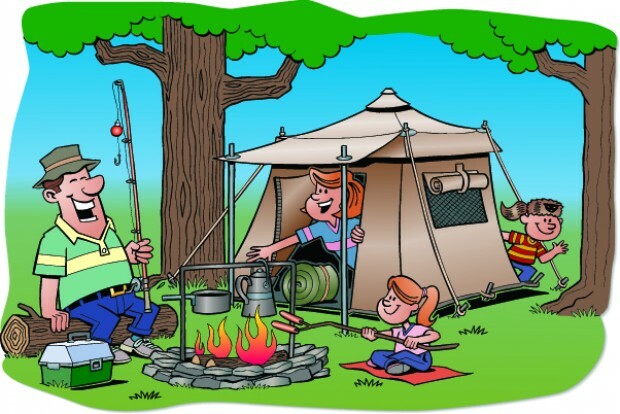 Camping sites include electricity and then there are 10 more primitive sites as well. Basketball courts, horseshoe pits, volleyball courts and hiking trails are available as well. Giant City Park offers breathtaking natural beauty. There is an unlimited amount of opportunities to enjoy the outdoors. 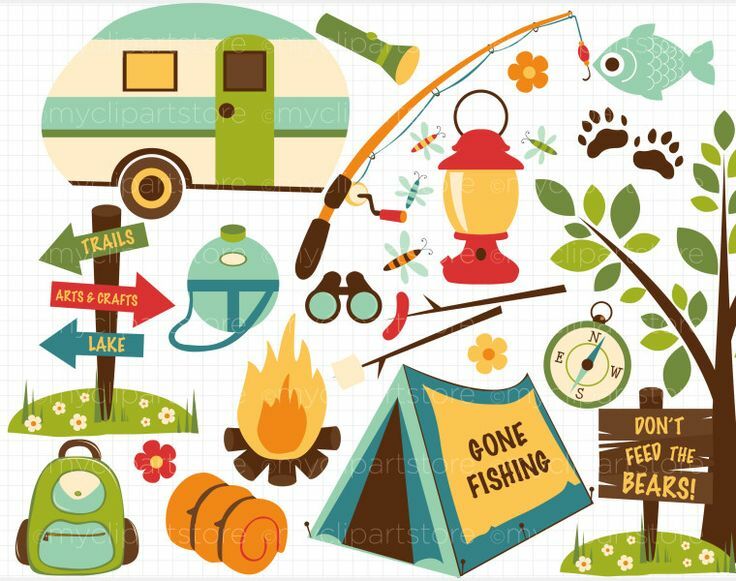 Camping, fishing, horseback riding, and hiking are just a few of the recreation opportunities available here. The trails here are made of sandstone formed 12,000 years ago. The park is covered with fern, moss, flowering mints, hundreds of wild flowers and towering trees. Whether you choose to go hiking at one of these three parks or another the same great rules should be followed when visiting. One rule our family always has is that we leave the site looking as good as or better than before we arrived. The beauty is there for all of us to enjoy so we should leave nothing but our footprints and take only the memories we make. Wear clothing to help protect your self from ticks. Long sleeve shirt, button up collar and put your trouser cuffs in your socks. Remember to check your pets as well. Check yourself during and after hike. If you have any flu like symptoms following hike or a red bull's eye rash could be a tick bite. Enjoy your day at the park of your choice. Hiking is a great form of exercise we all can take part in. I grew up in a small rural town. Home cooking was what we enjoyed daily. 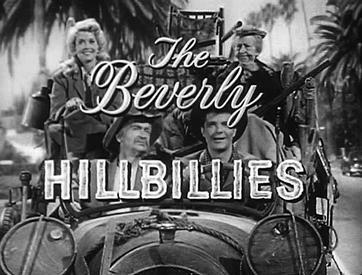 The style of cooking is now often called country cooking. All I know is that it was good. Summer time is a great time to enjoy some good old fashioned cooking. Meal planning and preparing, canning and freezing items from the garden, jellies, jams, preserves, pickles and relishes all are prepared as well. Everyone loves a barbq cookout and we love our backyard grilling. With all the busy work in the kitchen June has become known as a country cooking month. 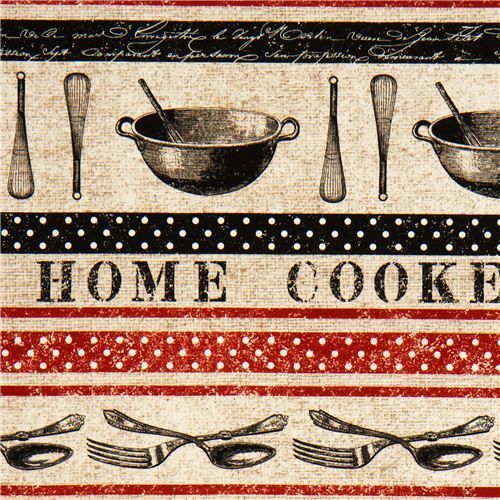 Country cooking is cooking with good recipes. Making homemade meals out of what you have on hand. It is a great way to be frugal but taste good as well. Country cooking could also be related to the foods and traditions of their homeland. The memories of eating meals with you family are heart warming and we often want to make those memories again. Those against country cooking believe it is fatty, unhealthy foods and bad cooking methods. Country Cooking does not have to be unhealthy. In the old days artery clogging, fat filled, meal that your great great grandmother served has been updated. Each generation has did their share to make the recipe a bit better by altering the recipe to make room for new cooking methods, foods , seasonings and serving ideas. The same awesome flavor is available it is just simply better for you. Like any cooking you are the one putting the good in it and it is what you make it. Bring those memories alive of the old country cooking and home cooking that your family did in generations before. Share the thoughts and memories with your family as you dine on a dish that reminds you of that special person. Family bonds, heritage and yes budget friendly meals can all be reached via home cooking. Have a bit of fun. We will be sharing recipes that you can follow along during this month as well. Recently I shared all about the Great American Brass Band festival. I then started to think about those of you who may not know what a brass band is. So the band geek (yes , I was in the band through school played the clarinet) decided it may be fun to share the instruments in a brass band. So here we go. Have you ever had a headache, a really bad one, one that you thought would never go away?? For many including my mother and a few of my children headaches were something that we deal with daily. I have had migraines when I am tired out and do not get enough rest but when I sleep they often go away. For many others this problem is something that does not go away and feels much more like they are living a nightmare. 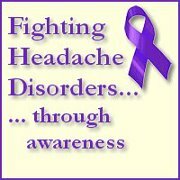 June is national Migraine & Headache Awareness Month. In the month of June show your purple and show your support for all those suffering from migraine and headaches. Through advocacy, awareness, education and research hopefully headaches will get better. one out of every 10 individuals suffer from migraines. Migraines is the 6th most disabling disorder in the world. There are 38 million Americans that suffer from Migraines. Those numbers hit home and wow I personally had no idea that it was that bad. A migraine is an extremely incapacitating collection of neurological symptoms. Everyone either knows someone who suffers from migraine or struggles with migraines themselves The reason or causes for these migraines are not known. They are poorly understood, frequently undiagnosed and woefully under-treated. Did you get a free doughnut or two today?? I hope so.... If you did then you know that today June 3rd is National Doughnut Day. Be ready for the first friday in June 2017 so that you get that free doughnut next year as well. We all love donuts. Those delicious deep fried treats. Did you know that Donuts did not make their appearance in the U.S. until the mid 1800's?? Rumor is that the doughnut shape came about by using a tin pepper box to punch a hole in the center. Those were the original donuts. Now there are a great variety of donuts including twists, fritters and filled donuts. My favorites are the old fashioned glazed doughnut. We all love doughnuts or at least it seems we do. The first doughnut day came to pass due to the efforts of a doctor in the military in the first World War. He sought to brighten the day of the wounded soldiers he worked on. On his first day to the Military Base, he purchased 8 dozen doughnuts and gave one to each soldier he worked on. One Lieutenant Samuel Geary loved the gesture and started a fundraiser so the young doctor Morgan Pett to continue to deliver doughnuts to his patients. The salvation army started social centers to help provide all sorts of amenities including doughnuts to the soldiers. Volunteers were sent to France to help organize the huts. Most of the workers were female and they soon were known as "Doughnut Dollies" The soldiers lives were impacted as a result and the Salvation army continues the day as a fundraiser for the organization. While enjoying your free doughnut take a moment and think about donating or volunteering to make someone smile. Horseradish a root vegetable used as a spice is a perennial plant in the same family as wasabi, broccoli and cabbage. Native to southeastern Europe and western Asia but very popular around the world. Horseradish grows to around 4-5 feet tall and is cultivated for its large, white root. The root before cut or grated has hardly any aroma. However, when cut or grated the enzymes from the broken plant cells break to produce a mustard oil. The oil irritates our sinuses and eyes. The horseradish should be grated and mashed at once to keep the flavor. The root once exposed to air or heat will lose its pungency, dark color and gain a bitter taste. The root and leaves of the horseradish plant have been used in medicine during the middle ages. The root was used as a condiment on meals in Germany, Scandinavia and Britain. Horseradish has been used as strong antibiotic, to increase the blood pressure, heats up the body, stimulates the body's immune system, and works as anti-inflammatory. Horseradish is also great as a diuretic, stimulates the appetite and is recommended for those that suffer from high blood pressure. Cooks use the terms "horseradish" or "prepared horseradish" when referring to the grated root of the horseradish plant mixed with vinegar. Prepared horseradish is white to creamy beige in color. Horseradish sauce keeps for months refrigerated but will darken eventually which indicates flavor has been lost. The leaves are edible but are not often eaten. If you love horseradish then you will most likely enjoy this delicious recipe. If you have never tried then may I offer this recipe for a dip that includes horseradish as the ingredient. Melt cheese in the top of a double boiler. Remove from the heat. Stir in mayonnaise and horseradish. Pour into a small crock or ceramic bowl. Chill. Serve with crackers. Yield: about 2-1/2 cups.